Airylab produce in small quantities large ERF. Our ERF are hard coated with IBS technology in France. 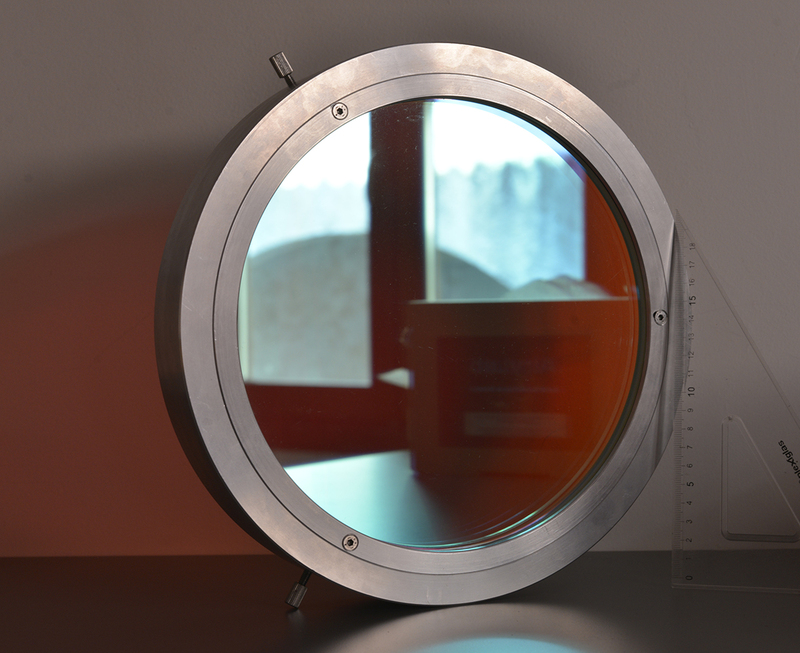 The 10mm thick BK7 windows are L/8 or L/10 PTV in transmission depending on the size, and the transmission in Ha band is >85% with a 10% maximum inhomogeneity. Used in addition our telecentric amplifiers, our ERF will convert your EdgeHD SCT in a reversible HaT telescope for high resolution visual and imaging work. Please contact us for stock and prices. We do not make reservations.